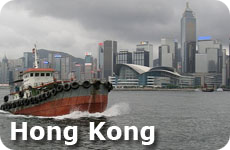 Casinos in Macau - The Macau Casinos are the lifeblood of Macau China and are a lot of fun! The laws are quite strict about photographs in the casinos in Macau, so I was unable to take photos of the inside of the casinos on our trip there. Macau is now the largest gaming area in the world. Any game you would like to play you will find here. The casinos all feature incredible restaurants and accommodations. If you like to gamble at the casinos, and are from North America, note that most of the games are luck based. I would say that about 70% of the casino floor consisted of luck based games like Baccarat, Caribbean Stud, Roulette or Sic Bo. The casinos in Macau also like to create varied games on the classic games. So don't be surprised if you find some games that look familiar, but the rules are different. There are 2 main areas for Casinos in Macau, The Cotai Strip and the Macau Peninsula. 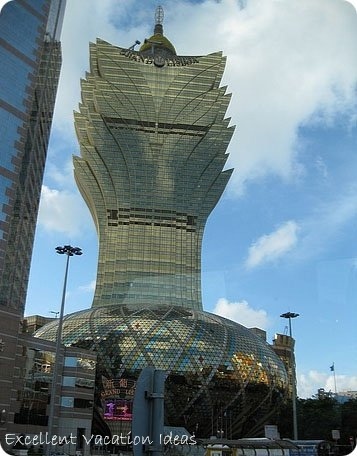 There are 2 main areas for casinos in Macau. The Cotai Strip, which is newer, and is essentially modeled after the Las Vegas Strip. 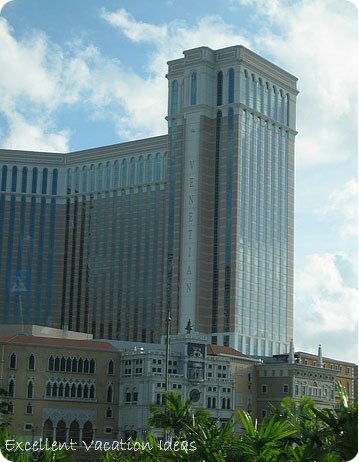 Here you can choose to visit the largest casino resort in the world, the Venetian, which is where we stayed on our first visit. 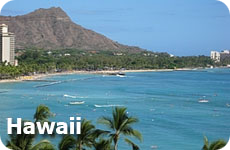 It is a spectacular casino, resort and shopping complex and we enjoyed our stay. However it is gigantic. And because of that, sometimes we felt a little overwhelmed and it seemed to take forever to get anywhere on the property. You will also find the City of Dreams, which is a Crown Casino (And Australian company) and the Hard Rock Hotel and Casino. This beautiful resort is home to the Dragone theatre where you can see the mega show "The House of Dancing Water". You can also enjoy the free 10 minute multimedia show "Dragon's Treasure". On the Cotai Strip luxury hotels and resorts are find the Four Seasons, the Sheraton, St Regis, Shangri-La, a Fairmont and a Raffles (not all may be built yet, but they are in the planning stages). The Galaxy Mega Resort opened in 2011 to a lot of fanfare. Unfortunately, we didn't' have time to go and see it on our last trip, but we certainly knew it had opened. There was a lot of press and advertising for it. What were were impressed with, was that they have a Banyan Tree Spa. We stayed at the Banyan Tree in Phuket, Thailand and were really happy with it. When the casinos opened originally, they were built on the Macau Peninsula. Here you will find the original Starworld, the Lisboa and Grand Lisboa casinos, the Sands and many other smaller casinos. We took a wander through them, however you could tell that they catered to the Chinese visitors. 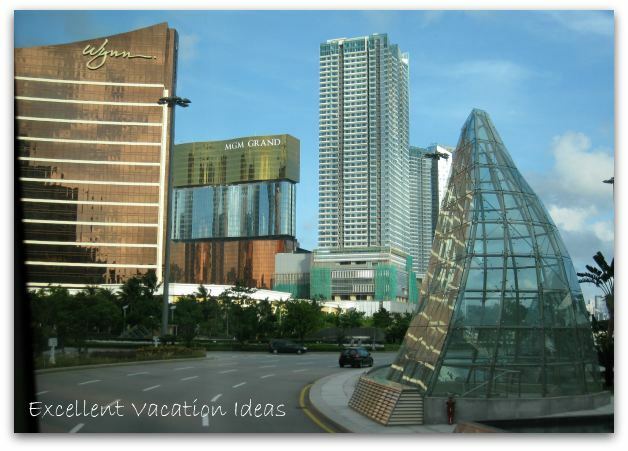 While we were there the first time we checked out the MGM Grand, The Wynn, and we stayed at the Venetian Macao. On our second visit we actually stayed at the MGM Grand and enjoyed it much more than the Venetian. We liked the MGM better as the property was smaller, and the service was out of this world. We enjoyed some great meals and loved that we could easily walk to other casinos in Macau. The ferry terminal was quite close, as were the tourist areas like St. Paul's Cathedral. The Wynn looks like an older version of the Encore in Las Vegas (we were quite surprised going into the Encore after visiting the Wynn in Macau). The restaurants here are quite good, but the entertainment, in our opinion, can't compare to Las Vegas. It seems that the people visiting Macau Casinos are there more for the gaming than the entertainment. Have you visited Macau? 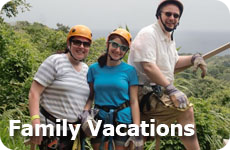 Share your Asia Holidays experience.